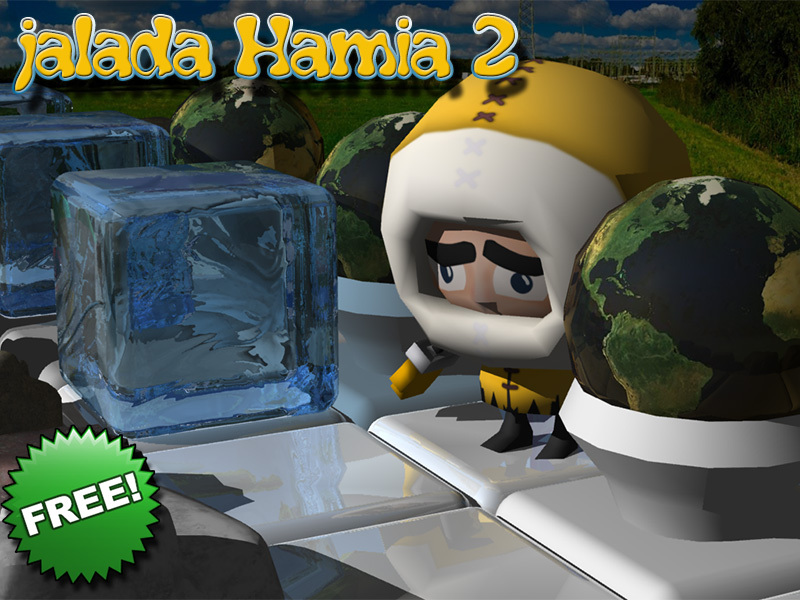 Jalada Hamia 2 - The Ice Cube Game. When we hit upon the magic combination of simplicity and challenge, which keeps you coming back to play jalada Hamia 2 again and again. We knew we had a game with mass appeal. It's thought-provoking, maddeningly addictive, and thoroughly fun for anyone from 5 years of age to 105. Work your way sequentially through the 78 predesigned levels. Each level is a puzzle that takes skill, strategy and your wits to solve. It's addictive! Once you start you can't stop. Some puzzles may seem impossible, but there is a solution to each one. Scoring is based on number of moves and time required to complete each game. Top scores are automatically recorded and saved, but they can be erased. With jalada Hamia 2 there is always the challenge to complete just one more level. And before you know it-you're hooked!